Blue, non-skid shoe covers offer improved floor traction while having an elastic opening that provides a snug comfortable fit. Made from spunbound polypropylene. Latex-free and non-skid. 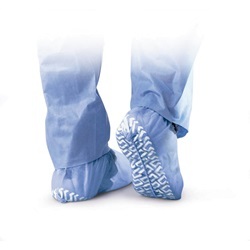 Medline shoe cover made from spunbound polypropylene that is a breathable, fluid-repellent material. Blue cover with an elastic band for closure. Sport size fits almost any athletic shoe. Sold 100 per box. 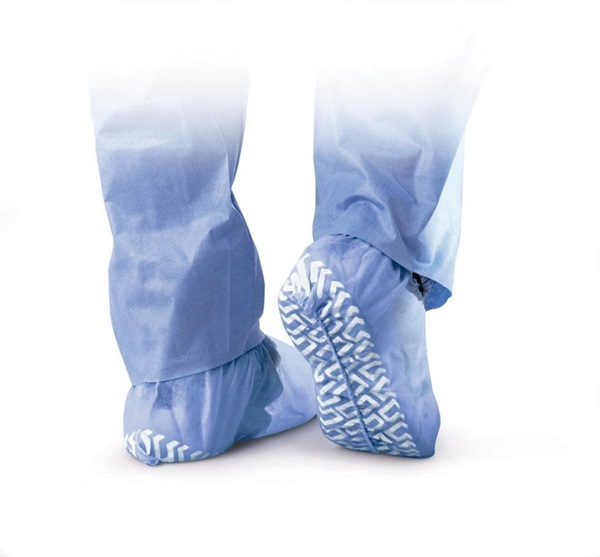 Medline shoe cover made from spunbound polypropylene that is a breathable, fluid-repellent material. Blue cover with an elastic band for closure. Regular/large size fits up to men's size 12 but is generously sized for full-coverage protection. Sold 100 per box. 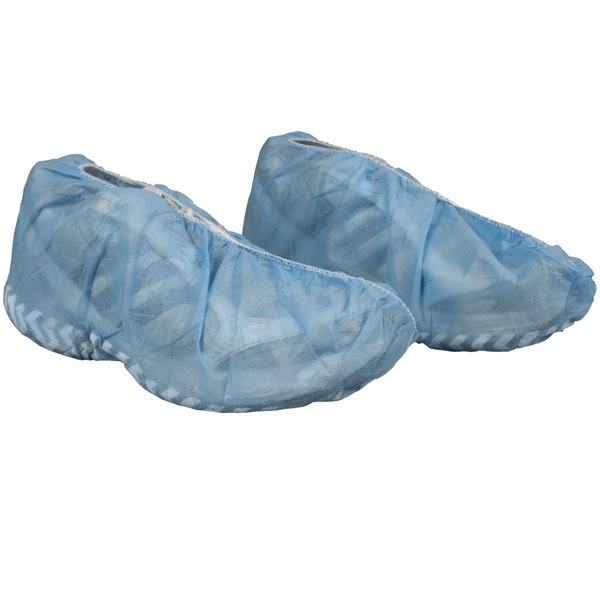 Medline shoe cover made from spunbound polypropylene that is a breathable, fluid-repellent material. Blue cover with an elastic band for closure. X-large size fits up to men's size 15 but is generously sized for full-coverage protection. Sold 100 per box. 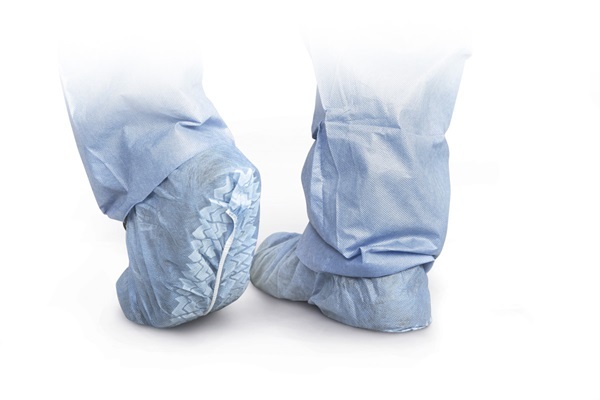 Medline shoe cover made from spunbound polypropylene that is a breathable, fluid-repellent material. Blue cover with an elastic band for closure. X-large size fits up to men's size 15 but is generously sized for full-coverage protection. Sold 200 per box. Dynarex shoe cover made from spunbound polypropylene that is sewn together instead of glued and offers greater strength. Blue cover with an elastic band for closure. Universal in size, fitting shoes small to large. Non-conductive. Sold 100 per box.